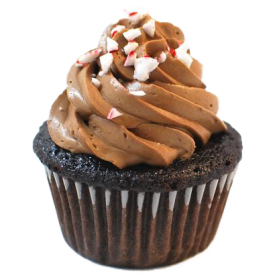 Chocolate cake with crushed peppermint pieces, topped with peppermint chocolate buttercream and sprinkled with crushed peppermint pieces. 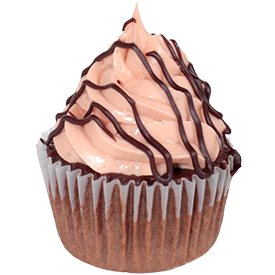 Chocolate cake with strawberry buttercream frosting, drizzled in chocolate ganache. 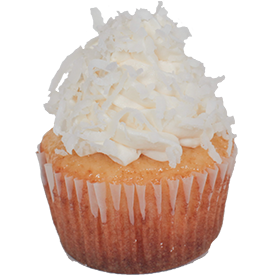 Coconut cake, frosted with coconut buttercream, and sprinkled with coconut flakes. 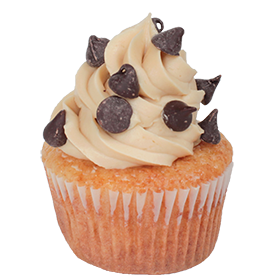 Golden vanilla cake with our delicious cookie dough inside the cake, topped with brown sugar buttercream and sprinkled with mini chocolate chips. 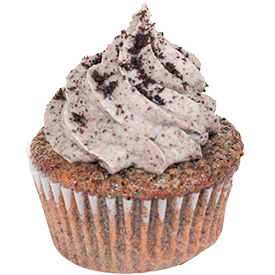 Golden vanilla cake with crushed chocolate sandwich cookies mixed into the batter, cream cheese frosting garnished with crushed chocolate sandwich cookies. 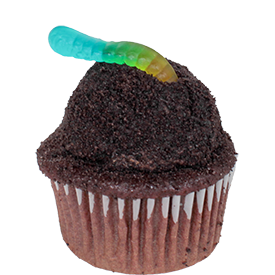 Chocolate cake with chocolate buttercream covered in cookie crumbs and a gummy worm peeking out. 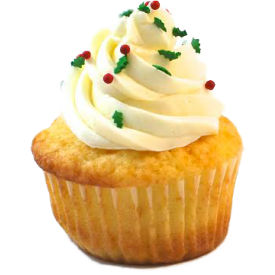 Golden vanilla cake spiced to eggnog perfection topped with whipped eggnog frosting and holly sprinkles. 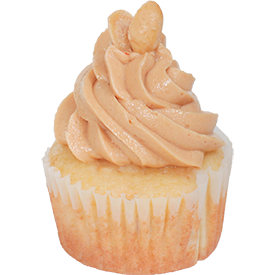 Banana Cake with creamy peanut butter frosting and a peanut on top. 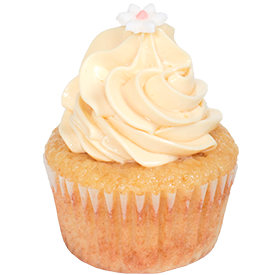 Vanilla bean cake topped with a fiori di sicilia buttercream (a citrus blossom flavor). 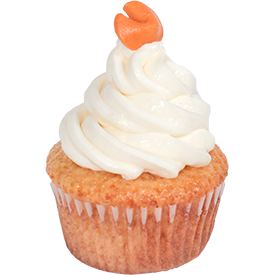 Vanilla bean cake with a sweet red bean filling, frosted with whipped vanilla frosting toped with a fondant fortune cookie. 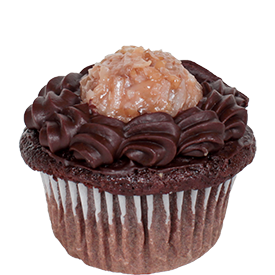 Chocolate cake, classic-german chocolate cake frosting, chocolate ganache piped around. 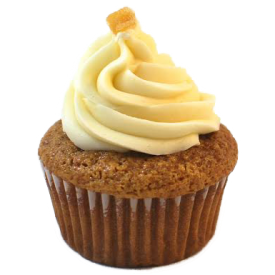 Gingerbread cake topped with cream cheese frosting and a candied ginger piece.